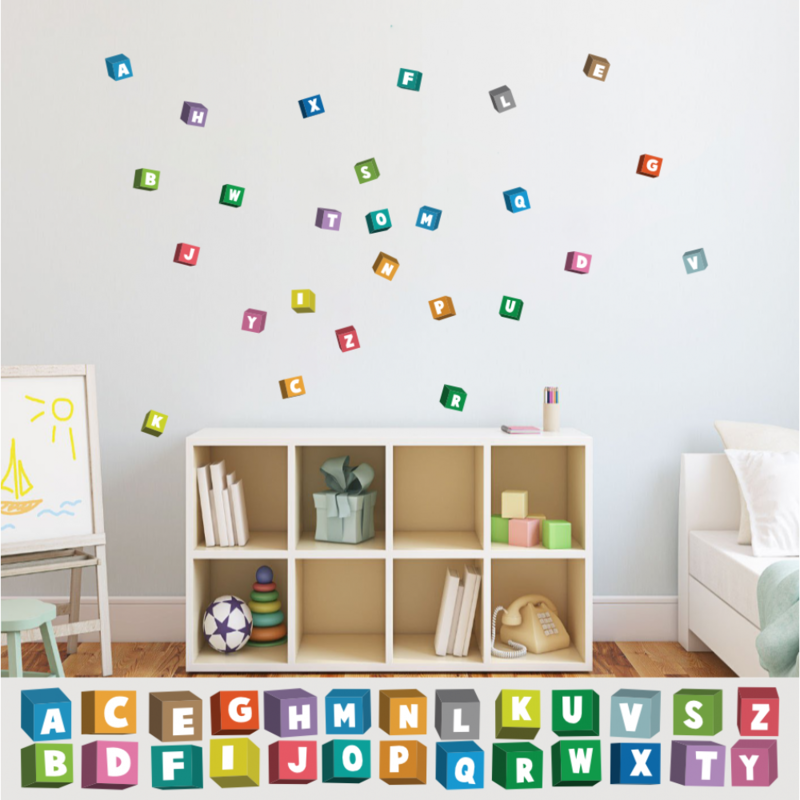 Colorful Alphabet self-adhesive stickers. Printed on woven polyester fabric, have a similar look to a canvas. The alphabet is made with a removable adhesive so you can reuse them multiple times. Great for even, kids room and nursery decoration. This is perfect for any rooms, creating repeatable patterns for wallpaper, murals, and much more. If you want any other language just email us and we print it for you! Easy to place. Simply peel and stick! Printed via HP Latex non-allergenic Ink. Please note the print does not include items of furniture as shown in the image - this is purely for display purposes. Pay with the world’s most popular and secure payment method PayPal. It doesn't matter what the size of your product is or how many you've ordered. If you are not satisfied with the product you received, a refund will be made. As part of the our ideology we aim to provide you high quality goods and excellent customer service. We want your experience with FantaSticky to be awesome from beginning to end.